He said he took particular issue with a provision raised by a questioner that the questioner said would effectively allow undocumented immigrants who were affiliated with gangs back into the United States merely if they renounced their association with the gang. “Those were one of the things that I complained about — in fact, I was saying, these standards are too low, it’ll never pass the House, it’ll never become law,” he said. 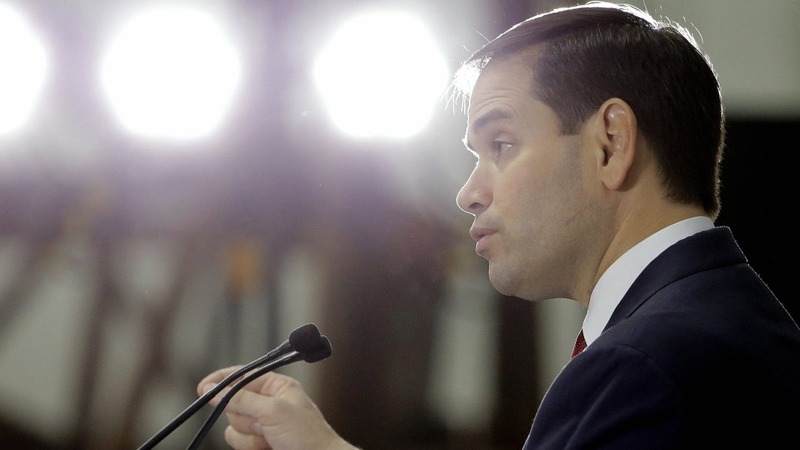 Rubio’s involvement in the 2013 immigration reform effort which has long raised suspicions among conservatives because of its provision offering a pathway to citizenship for immigrants here illegally. And Rubio’s opponents have seized on that suspicion in an attempt to draw conservative votes against him, airing ads attacking him for his work on a bill promoting “amnesty” and even at times targeting him on the stump. But since the reform effort ultimately failed due to heavy conservative backlash, Rubio has made every effort to wash his hands of the bill, and his Monday argument — that the Senate bill was just a starting point, never intended to become law, and conservatives in the House were expected to make it stronger — is one he’s made in recent months as his role in the reform effort has taken on fresh scrutiny. It’s a notable departure from his comments on the bill when he was advocating for its passage in 2013, however. Then, Rubio said while he expected the House to make some changes to the final bill, he hoped they would ultimately “take a look” at it. "I think we have a good piece of legislation they should take a look at. There are a lot of good ideas that they should adopt,” he said at the time, according to Reuters. After it became clear later in 2013 that the House had no intention of taking up the legislation, Rubio began his walk away from a comprehensive approach.